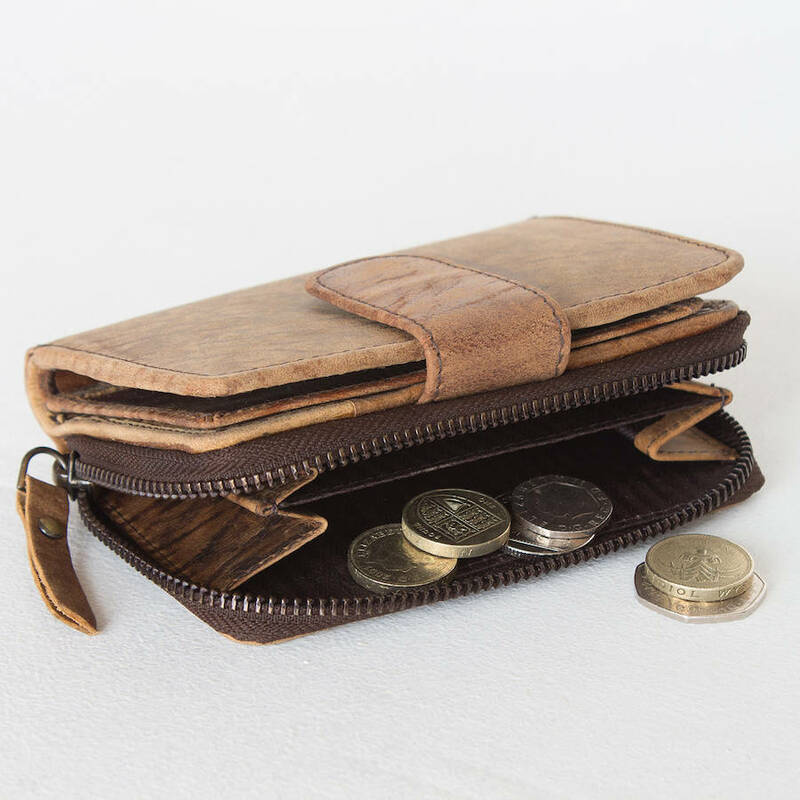 A multi-compartment practical & stylish handmade women's leather purse available in brown or black leather. 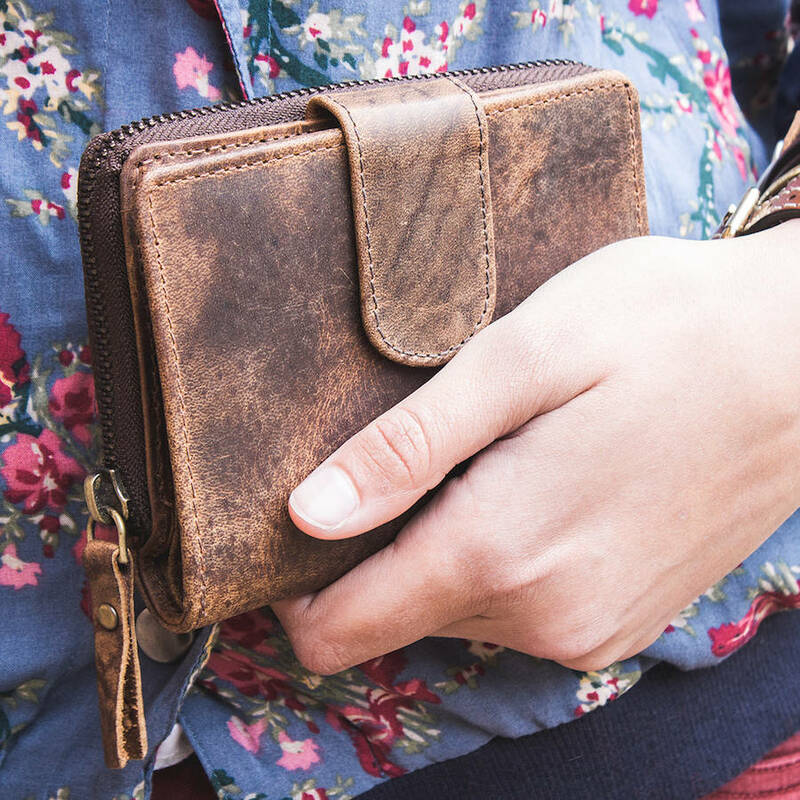 Our best selling women's leather purse has lots of compartments and space. 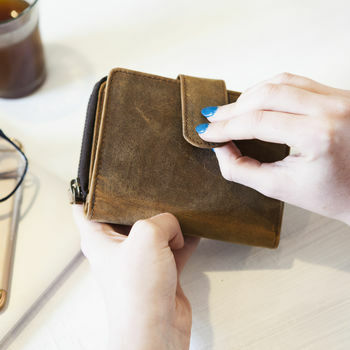 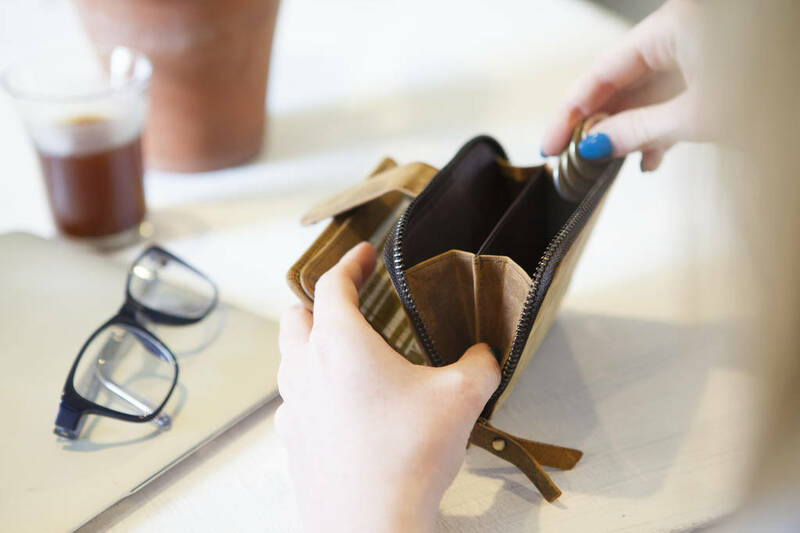 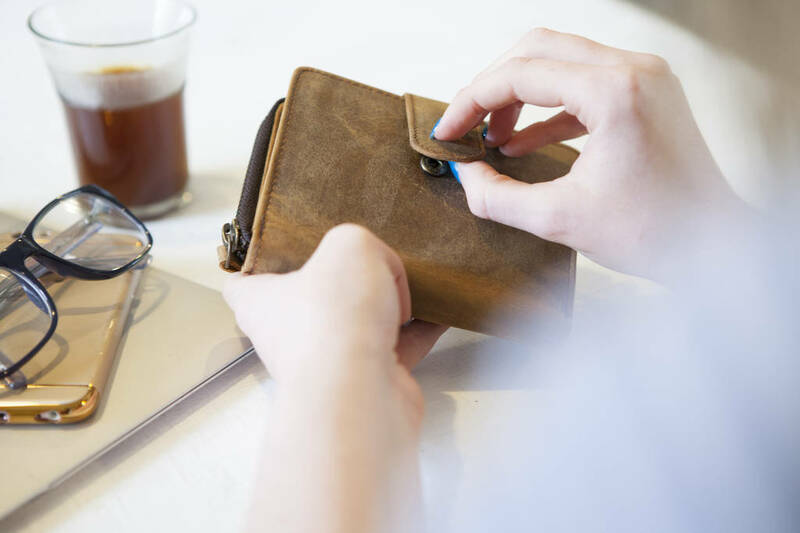 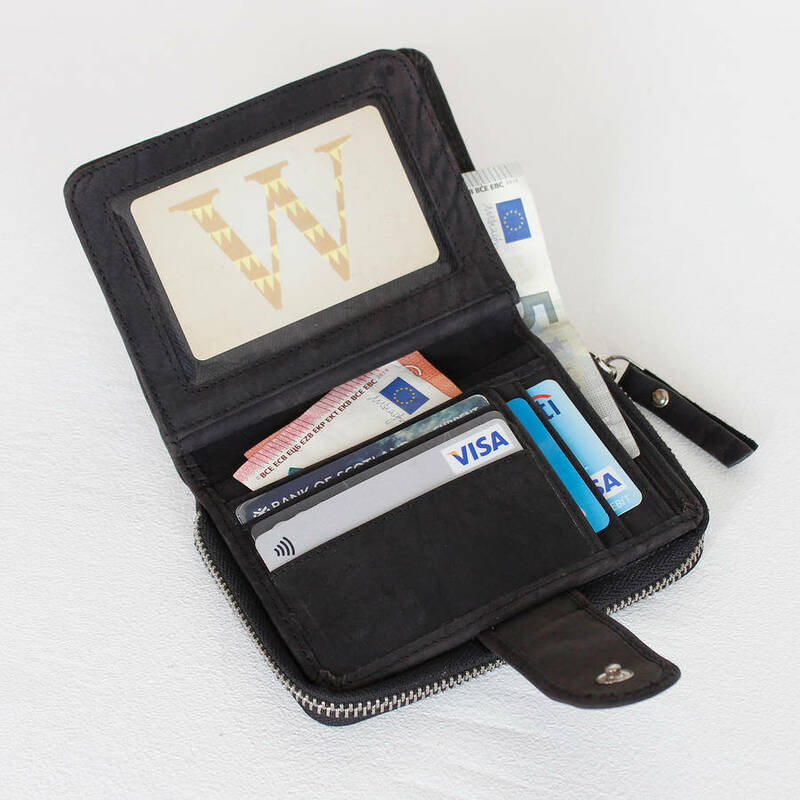 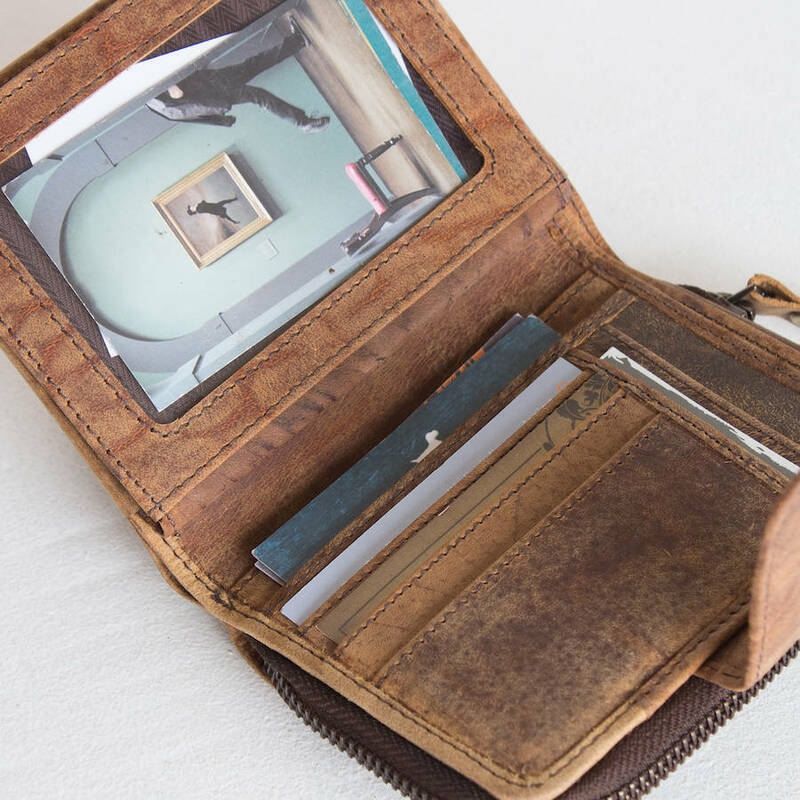 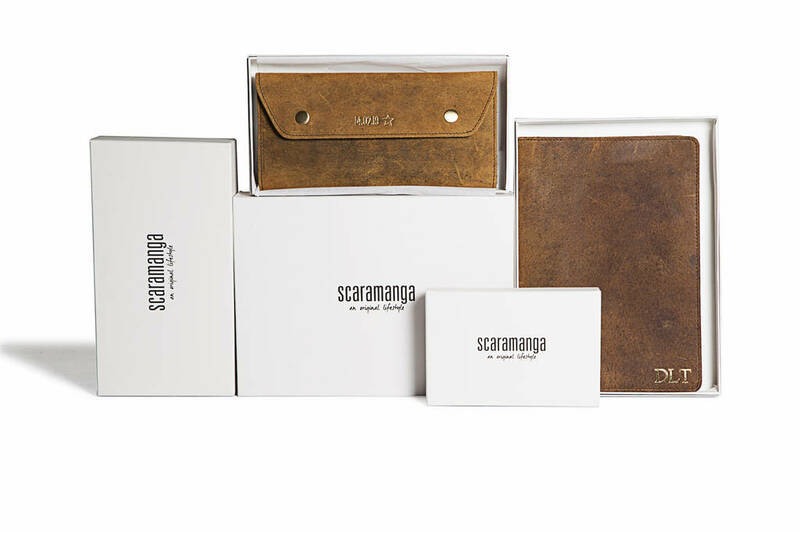 Each purse has 10 credit card compartments, 4 further compartments, 2 long bank note compartments and a generous zipped double coin compartment. It can be difficult for to hold so much and remain compact, but we've managed this with our creative, practical and compact design. 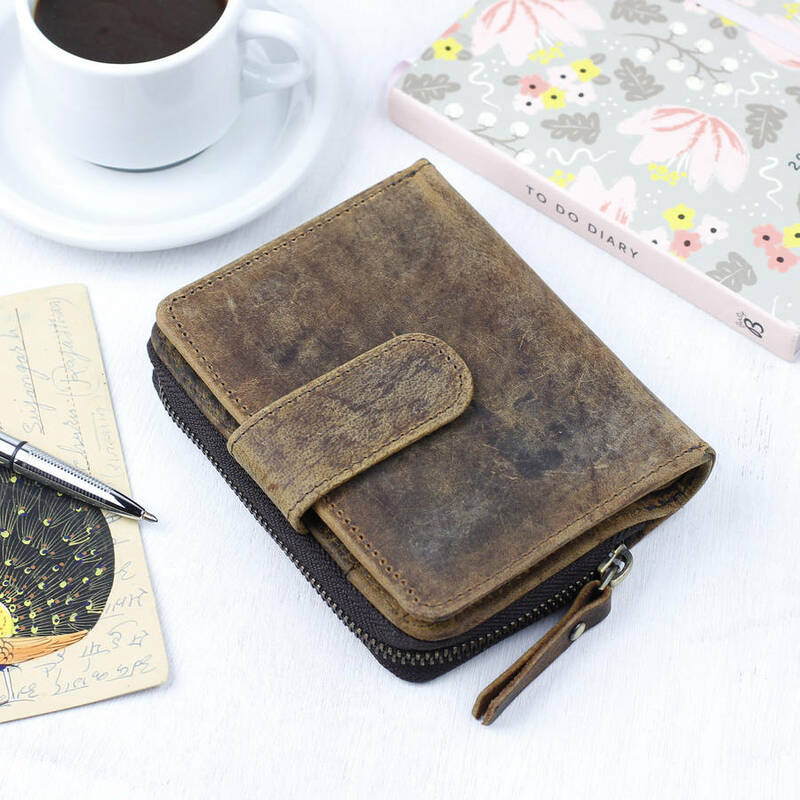 This is the perfect companion for anyone who carries a lot around with them and needs to stay organized. 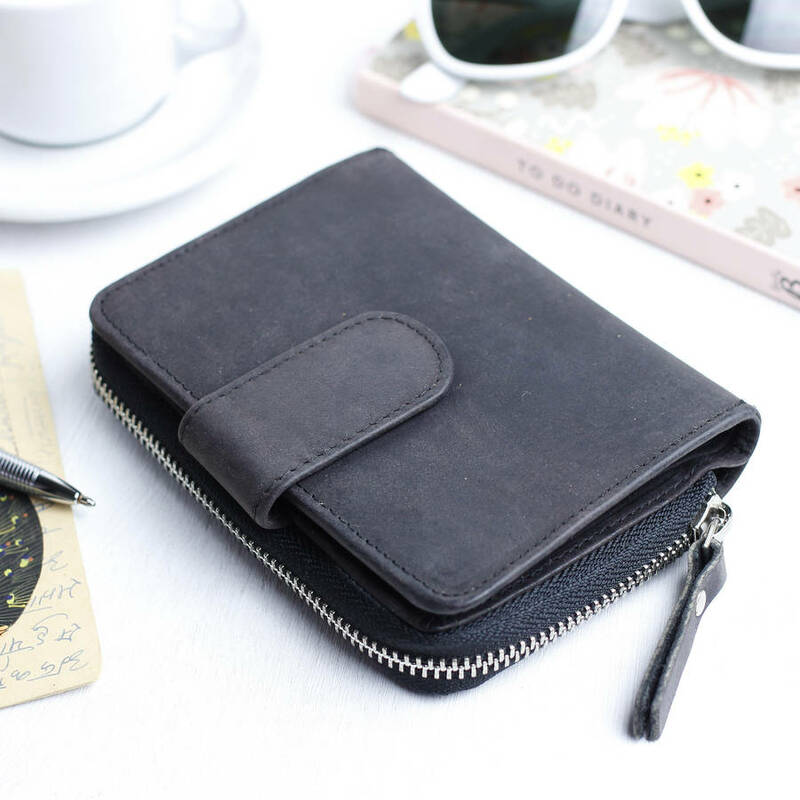 Our black Hunter leather has been specially tanned and finished to have a distressed vintage leather effect, which means over time and with exposure to sunlight the leather's initial black colour will change to a grey or dark aubergine colour.